The western area of the Okavango is where you will find the Okavango pan handle. The pan handle is so named because of Okavango Delta’s shape, which resembles a large frying pan. The handle of the pan represents the Okavango River, the main river which provides the Delta with it’s water, flowing from the Angolan Highlands all the way through Namibia’s Caprivi Strip and south into Botswana before culminating in the Kalahari Basin and the Okavango Delta. 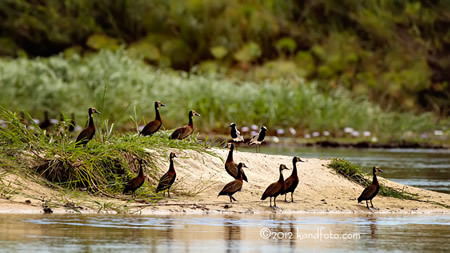 The Western Okavango Area, or Okavango pan handle is located in the North-West of the Delta. It is home to a number of older, established camps and private concessions including Drotsky’s cabins, Nxaamaseri Lodge and the Okavango Jakotsha Community Trust, while Moremi flanks it to the east. There is a tarred road which runs down along the western edge of the delta, making all of these areas more accessible. The Western Okavango area is also the ideal position from which to travel to the beautiful Tsodilo Hills as well as Drotsky’s Caves where you can take in cave paintings thousands of years old. In terms of terrain the Okavango pan handle offers 70km of river with deep,narrow channels, small tree Islands and tall papyrus reed beds. It is the perfect environment for birds and Birding enthusiasts would do well to consider visiting this section of the delta. You will find a myriad bird species including Pel’s fishing owl, Wattled Crane, Slaty Egrets, Rosy-throated Longclaws and African Skimmer. More common species are the Coppery-tailed Coucal and Pygmy Goose as well as many different types of storks, kingfishers and warblers. 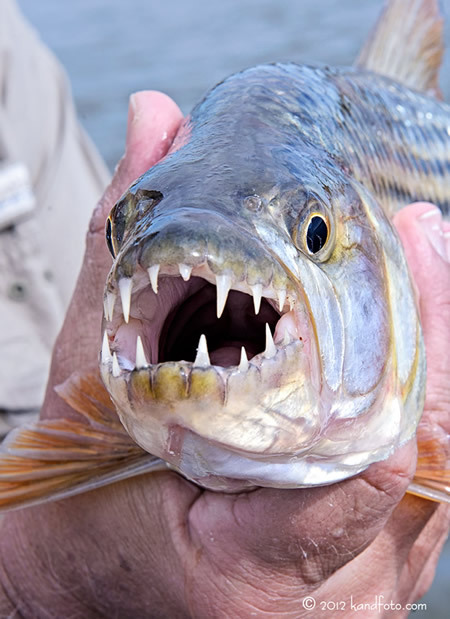 The Western Okavango Area is also well known as an excellent fishing area, with many of the camps being regarded as fantastic fishing camps, especially for tiger fish. If you are an avid fly-fisherman then the Okavango Pan handle has got at east 17 species of fish worth packing your fishing rod for. 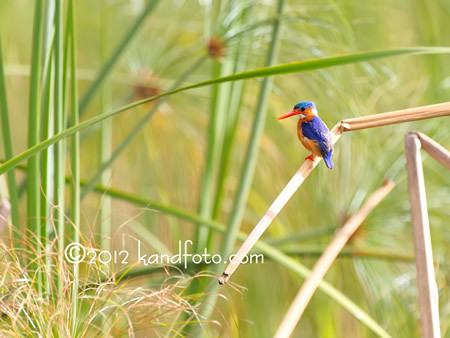 While it is not the ideal spot for game viewing the Okavango pan handle does still offer up some game for the viewer. Look out for crocodile and hippo as well as the densest populations of shy water species like the Sitatunga. In the drier season you can also expect to see elephant, zebra, lechwe, tsessebe, wildebeest, lion, cheetah and leopard.